Introduces you to right hand fingerpicking patterns that can be applied to any chord, chord progression or song. Playing chord shapes with these patterns will allow you to provide accompaniment for any song. 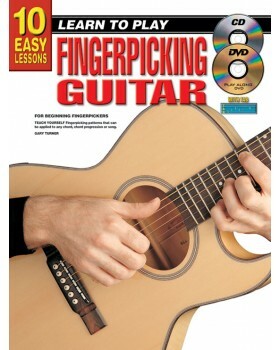 After completing this book you will have a solid understanding of fingerpicking and may wish to study more advanced fingerpicking styles such as ragtime, classical and flamenco. I always played guitar using a pick and never used my fingers. 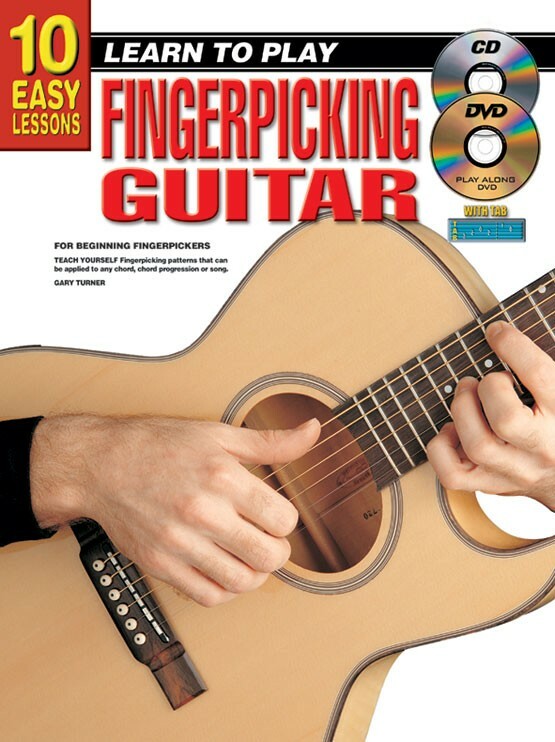 When you are an absolute beginner in fingerpicking, this book takes you all the way through becoming an intermediate fingerpicker. What I really like about this book is that it always keeps getting harder and keeps providing you with new challenges. This book grants you with the basics, a very clear and understandable teaching method and fun songs and exercises to play.